Went in there, purely by fluke, about 3 weeks ago on a Sunday drive. Didn't purchase at the time, but certainly looked like a place to visit when the pocket had more in it. I'll bite, is it the famous swanny ? bayman wrote: I'll bite, is it the famous swanny ? I've been visiting a few second hand record shops recently to fill in some holes in my 60s / 70s / 80s collection. It is quite amazing how some rare and iconic albums retain their value. EG Let It Be - Beatles sells for around $50-$60. A double Creedence 'best of' album was around $70. Some others can push up to around $80. Porthole Records in Port Adelaide has got stacks of stuff. And lots more out the back not on display. I spent an hour in there a few weeks ago. During these excursions I've managed to get hold of all the Supertramp albums from the 70s when they were at the peak of their powers. Clearly there is still quite demand for vinyl. I guess some peoples' collections are just to great to abandon. Some of the new releases on vinyl are fantastic too. The vinyl version of David Bowie's last album is notably heavier and more substantial than the 70s discs. I think digital is better for clarity (unless you have super high-end turntable and stylus) but vinyl is better for a bright, live feel. it is hard to describe the difference between vinyl and CD. But it is different. The turntable I bought recently is not super high end but it is a good one and substantially better than anything else I've owned, so maybe there has been some technological improvement in how they are producing them these days. Vinyl certainly has a more homely feel on my system than CD, which I agree is clearer. Quality of the vinyl has a lot to do with that too. I don't know if you can find any of these albums pictured below any more, i have quite a few and they were from the late 60's -70's none were the original artists but some songs sounded better than the original. At the time, these albums cost around $2. Usually 12 - 14 songs on each album. 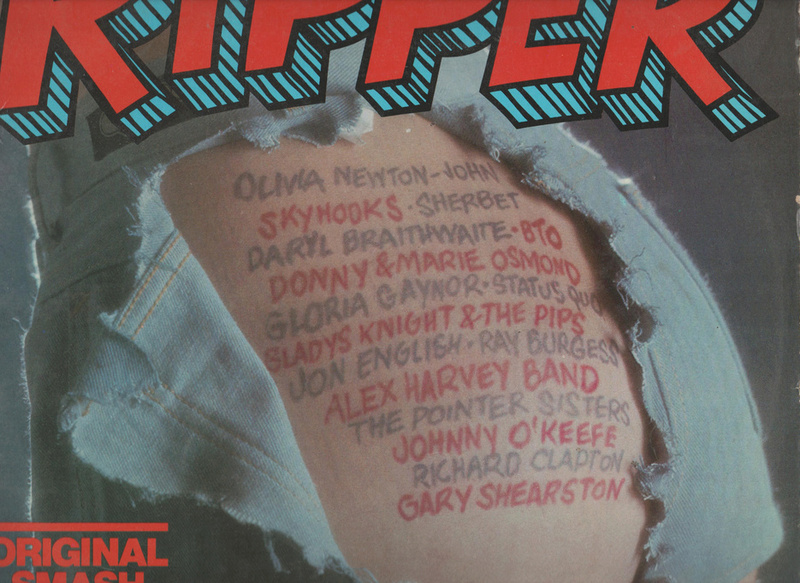 Like the above covers, does anyone remember the compilation Album "Ripper" from 1976? It had a picture of a lady's bum tattooed with the song list on the cover. My dear old Mum didn't like that and made me keep it in a brown paper bag! Chambo Off To Work We Go wrote: Like the above covers, does anyone remember the compilation Album "Ripper" from 1976? Do you mean this one Chambo? This one is 1977. I found another one in my collection, would this be it Chambo? It doesn’t have a date on it. Maybe you can tell by looking at the songs on the bum. Sorry i can't scan the whole cover, it's too big. Whilst I liked that bottom, my mother did not. My recollection is that this album started a flurry of similar compilation albums like Screamer, Scorcher among others. I don't think thye all had a naked bottom on them. What? Not Donny and Marie Osmond?